The Cumberland Stool is the only seat in the Thos. Moser portfolio with only three legs. Designed to be versatile in its application; whether as a seat for a meal or a perch for a guitar session, the symmetrical stool can be sat in from any of the sides – it is up to the user to decide. 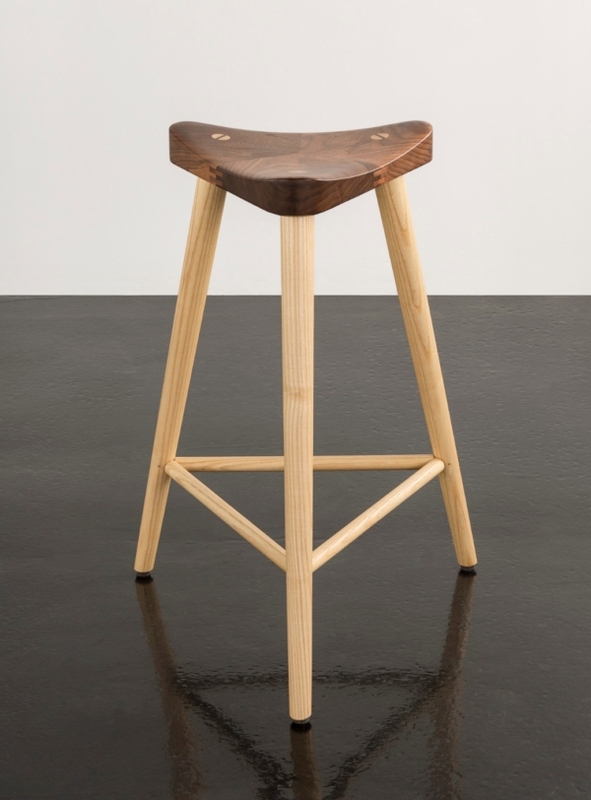 This stool has a 27″ seat height and was originally built as a showroom sample and shows some wear and fading from exposure to the sun.